Sneaker Con is bringing a legend along for their next NYC show. If the presence of Penny Hardaway isn't enough to get you in the door at the next Sneaker Con NYC show, we don't know what is. 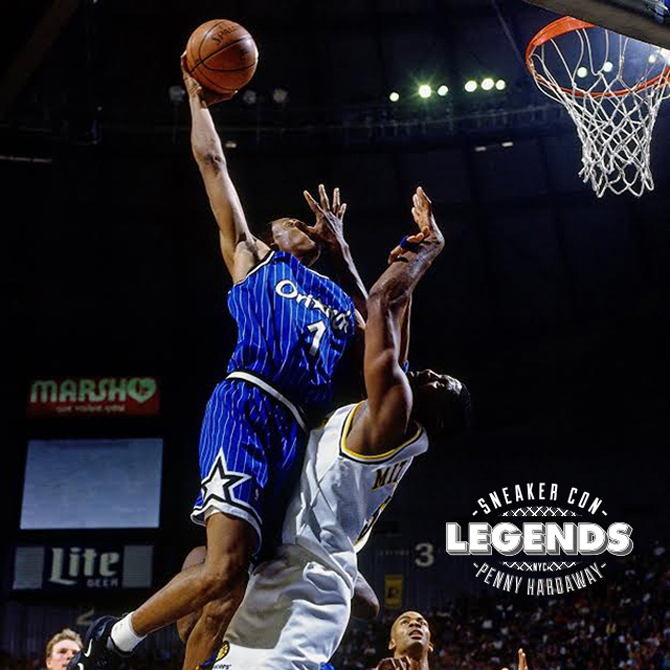 Mr. Hardaway will be the first in the "Sneaker Con Legends" series, which will bring legends of the footwear world to the traveling show for meet and greet sessions. Aside from that the show will feature your usual array of thousands of sneakers available via buy, sell, and trade. The show has once again outgrown previous digs and will be upgrading to NYC's Jacob K. Javits Center. See below for ticketing info and date details and tell us if you're going to this next Sneaker Con.